Hardworking mother and entrepreneur, Leolyn Tanchico lives in Iloilo, Philippines, with her husband, Reynaldo, and their two children. For over a decade, Leolyn has owned and operated a convenience store. She believed that life is complicated and challenges will test you. 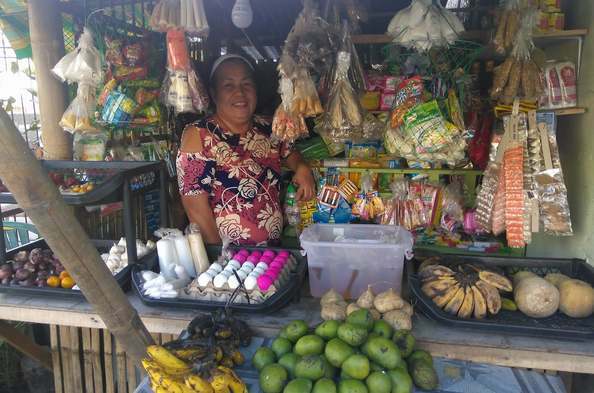 Leolyn faced many challenges and struggled to keep her business afloat while also supporting her family with her limited capital. When she learned about Opportunity International from a neighbor, Leolyn found the assistance she needed. She received a loan, which she invested in her shop. This extra capital has caused a ripple effect of positive changes in her life. Leolyn's business is growing, and she has enough sales to ensure her children's educational needs are met. Her life has significantly improved, and Leolyn is looking toward the future. Her dream is to continue growing her business so that she can help her family escape poverty for good. Leolyn is thankful to Opportunity for enabling her to strengthen her business and provide for her family's daily needs.